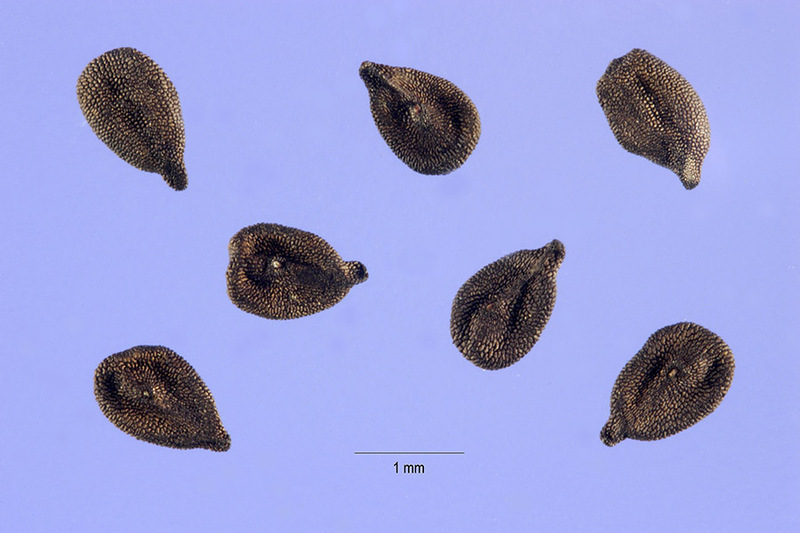 Our mystery seeds from last week were from yet another European native, the Deptford pink (Dianthus armeria). 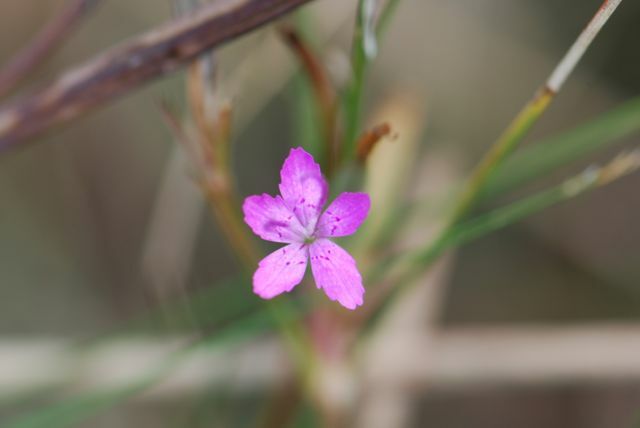 Deptford pinks have become naturalized in North America, where they can be found scattered throughout meadows. 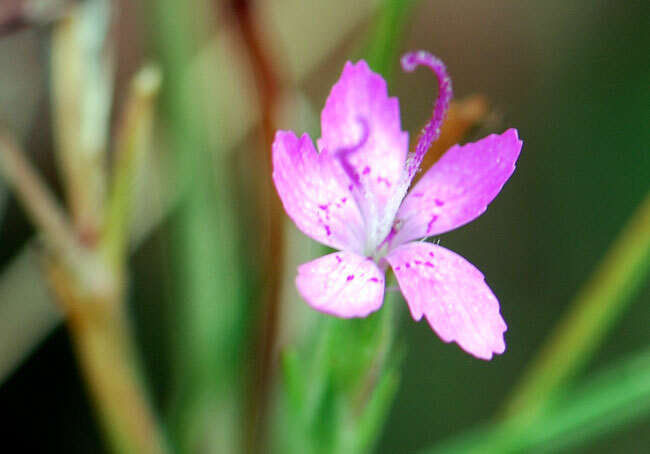 Because the delicate stems and leaves resemble a grass, they are sometimes also called grass pinks. 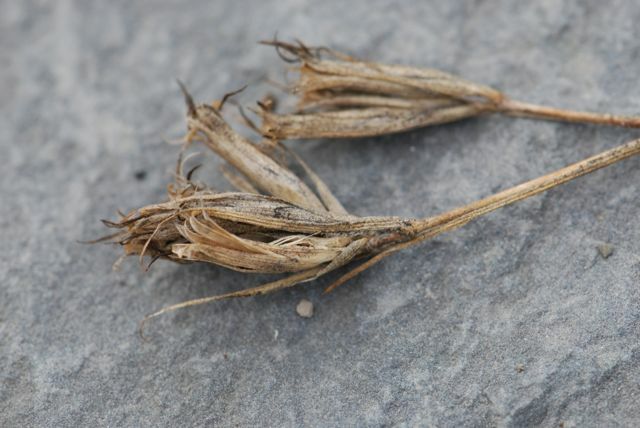 The seeds form in seed pods at the tops of stalks. The plants reseed readily. 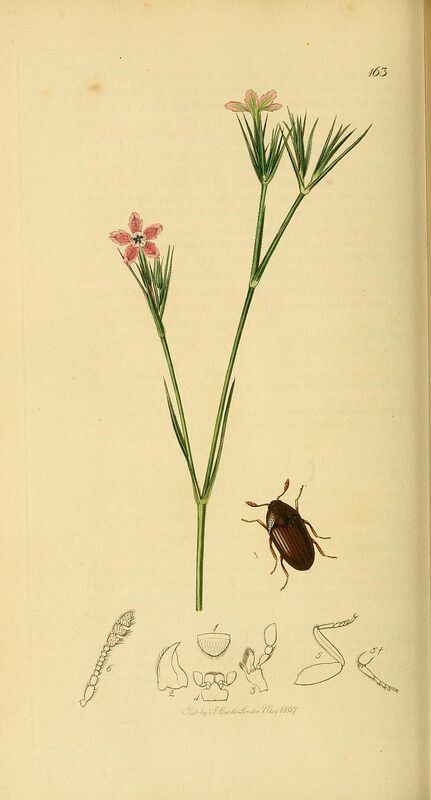 Depending on location, grass pinks may grow as annuals or biennials. There are a few closely-related species that may resemble each other and grow in similar locales. One is the maiden pink, Dianthus deltoides. Do Deptford pinks grow where you live? Note: Mystery Seed of the Week will be on a short hiatus as we will be celebrating chemistry all next week.